Anto Antony member of parliament (MP) Kerala profile and biography is given here. Anto Antony Punnathaniyil is an astute Politician and a capable Social Worker from the Kottayam district of central Kerala. He is a member of Indian National Congress who has come to the party through his extensive participation in student politics. 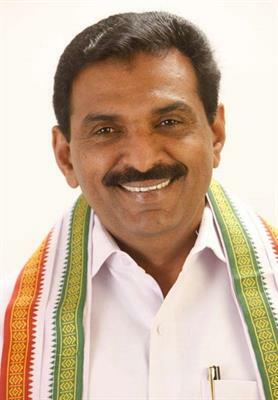 Currently, he is the Member of Parliament, representing the Pathanamthitta Lok Sabha Constituency. This article throws some light on the life and works of this great leader. Anto Antony Punnathaniyil is a veteran Politician and seasoned Agriculturist from the central Kerala. He is the member of Indian National Congress and Parliament. 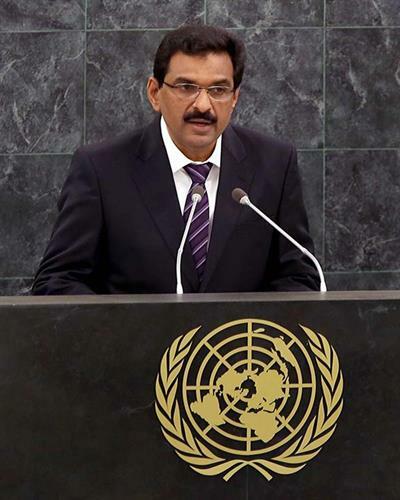 In the Lok Sabha, he represents the Pathanamthitta Constituency from the state of Kerala. In his maiden contest for the Lok Sabha seat, he defeated K. Ananthagopan of Communist Party of India (Marxist) by a huge margin of votes. He was the General Secretary of Kerala Students Union (KSU), the students' wing of the Congress party. Throughout his political career, he stood for the cause of people from his constituency and the neighboring district of Kottayam. Anto Antony Punnathaniyil was born on May 1, 1957 in a remote village by the name Moonilavu in the Kottayam district of the central Kerala. His parents were Kurvilla Antony and Chinnamma Antony. He was born into a Christian family whose profession was agriculture. He was initiated into the world of letters at a local Church when he was three years old. Subsequently, he was put in a local school to enable him get formal education. After getting the formal education, he was put in another school to help him get continuous education till the tenth class. During the formative days in the high school, he was very attentive in the class and learned the lessons quickly. However, when he moved to the high school section, he started to participate in the school-level politics and meetings. In those meetings, he used to attend and share his views on the topics that were discussed. However, these participations did not stop him from getting good marks for the SSLC examinations, as he was up-to-date with his lessons. After the successfully handling the SSLC examination, young Anto Antony enrolled himself in a junior college for pursuing his pre-degree course. For the pre-degree course, he took up the arts stream so that his participation in political activities would not stop him from getting good marks. His extent of participation in the political movements both inside and outside the college increased. Yet he would make it a point to visit his college and friends to get himself acquainted with the topics that were covered in the class during his absence. The students who were sympathetic toward his cause helped him with the topics that were covered in the class during his absence. Hence, the writing of the pre-degree examination was a cake walk for him. When the examination results were published, he came out successful in that exam as well. Emboldened with his success in the pre-degree examinations, despite of his participation in the political activities, he joined the reputed St. Thomas College and took up again an art stream subject as his specialty. This was again a calculated move on his part to keep his political career alive. So, by the time he passed out of his degree course, he was able to carve a space for himself in the political landscape of the state. After some years, he did LLB from Kerala Law Academy in Thiruvanathapuram district of Kerala. In between, he was also present at the Government Law College at Ernakulam for some time. He took a break from the busy schedule in politics and married Grace Anto. The couple is blessed with two children – one daughter and one son. Anto Antony Punnathaniyil jumped into the political landscape of the state when he was a school-going boy. During his school days, he was able to ideologically sail with the values Kerala Students Union stood for. As a result, he became its active member when he was in high school class. As an active member, he used to take part in the political movements and tried to organize the students for the cause. He was able to influence the audience with his carefully chosen words and make them agree to agree his version of the topics. This trait of him was noticed by the senior leaders of the students' wing of the Congress party and roped him in its central committee. After making him the member of the central committee of the KSU, he was given the additional tasks of raising awareness about the stands taken by the party on different issues relating to the state. Apart from the political activities, he also found time to undertake the social works that aim at improving the lifestyle of the people in the society. For this purpose, he chose his hometown as the base. Due to his proximity to the people when they come to him for the help, the people across the political spectrum had become his friends, apart from the people of his hometown and the constituency he represented. As a Social Activist, Anto Antony Punnathaniyil is interested in the overall development of the society. In his social work, he preferred areas related to education, culture, environment, empowerment of weaker sections and community development. According to his viewpoint, the development should these sensitive areas to make it a holistic one. He laid special emphasis on education especially that related to the weaker sections of the society. Many of the tribal communities at that time had little access to the quality education. They had to send their wards to distant schools. Due to this reason, many tribal children preferred to drop from the school and help their parents in their daily work. After having done the research on this issue, he decided that the modern amenities had to be taken to their habitat to help them improve their lives. So, he raised the issues concerning these people in the corridors of power through proper channel. As a result of this, the government had to relent and roll out projects to develop the backward areas in his constituency and home district. When the work began, he personally supervised the works to ensure its speedy completion. Within a few years, the tribal areas and other backward areas started sporting important institutions that ensure the development of the people. This included schools, primary health centers, roads, bridges, etc. The accessibility of the backward areas with the business centers in these districts improved and more development works started coming in these areas. After the development of the areas that showcased his ability to work in a focused manner, his stature as the leader improved in the eyes of the local people. Taking note of these developments, the senior leaders elevated him to the district committee first and then to the state committee. When he led the movement that aimed at developing the backward areas of the two districts - Kottayam and Pathanamthitta, he was the Secretary of Indian Youth Congress. As a leader of the Indian Youth Congress, the youth wing of the Congress party, he could convince the senior party leaders of his party and the government to mobilize the resources for a good cause. After reaching the state committee of the party, he worked in tandem with the government when the Congress party was in power to get the share of development that was due for his area of political activity. In recognition of the good services provided by him, the state level candidate screening panel chose to give him a ticket to contest from the Pathanamthitta parliamentary constituency against the powerful candidate of CPI (M). After being chosen to contest from Pathanamthitta Lok Sabha Constituency by the Congress party, Anto Antony Punnathaniyil filed his nomination before the district collector at the district headquarters. A fierce campaigning ensued and the votes were polled. When the results were out, Anto Antony emerged successful, defeating his nearest rival from the Communist Party of India (Marxist) by a huge margin of votes. Subsequent to the general elections, he entered for the first time the corridors of power, the House of Commons, to represent the people of Pathananthitta Constituency. Despite of his elevation to the corridors of power, he remained connected to the people of his constituency and raised the issues pertaining to them whenever possible. He tried to the fund allocated to him by the Government of India for undertaking the development projects in his constituency. To date, the lion's share of this fund has been utilized for several developmental projects. As a result, the media houses have given a good rating for his performance as a Member of Parliament, unlike other compatriots who have not fared well in the media scrutiny. Due to his active participation, Anto Antony was put in various committees formed by the government to look after and scrutinize the working of its departments. The committees in which he is a member include Committee on Energy, Committee on External Affairs, and Committee on the Papers Laid on the Table of Parliament. In the capacity as a coveted Member of Parliament, he visited many countries like France, Holland, Germany, Malaysia, Kuwait, Switzerland, U.K., Taiwan, Singapore, U.S.A. and U.A.E. During the pastime, he is interested in participating in the students' movements. He believes in giving the best to the future citizens of the country to ensure the future of the country. He is also a sports enthusiast. He loves playing Volleyball with his friends. He also visits local and well-known clubs as a member and interacts with the eminent people over there. He is able to convert the meetings with the people into long-term relationships with them. Anto Antony Punnathaniyil is a seasoned politician of Indian National Congress. He has a long and illustrious career in politics. He came to the corridors of power through his active participation in student politics. He rose through the rank and file of the students' wing of the party and the youth wing of the party to reach its state committee. On the work front, he did some of the commendable job of developing the backward areas for the welfare of the people. He finally became the Member of Parliament, representing Pathanamthitta Parliamentary Constituency. By profession, he is a Social Worker, a Politician, an Advocate and a Agriculturist.